As a trade association, Grakom monitors the developments in market conditions, legislation, technology, environment, etc. This knowledge is communicated to the members via Grakoms magazine, newsletters, website, courses, and member meetings. As an employers’ association, Grakom looks after the interests of the members through negotiation and interpretation of collective agreements, questions relating to employment law, advises on working environment questions, and educational matters. Grakom is a democratic member led association, where president and board are elected directly by the members at a general meeting. To encourage a wider democracy, seven regional associations each with its Regional Board of directors is elected in all regions of Denmark. The chairmen of the Regional Association constitute Grakom’s board of representatives, which is an important interface between Regional Associations and the Board of Directors. The Board of 11 members appoints a Chief Executive who has the day to day responsibility for the management and operation of the Association. As of 2018 Grakom organises 450 member companies. Grakom has members from all parts of the value chain of communication covering the graphic industry and companies within marketing and various other types of communication. 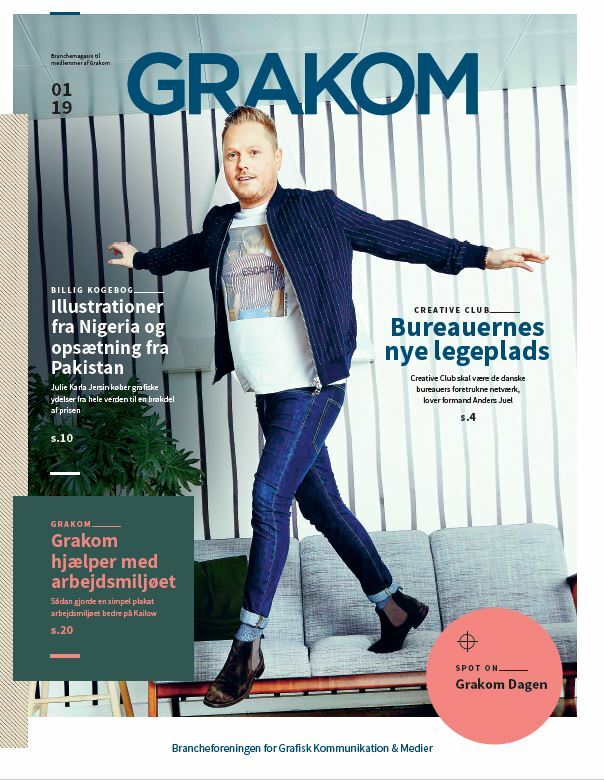 Grakom has 25 employees with headquarters in Odense and an office in Copenhagen. Grakom is a member of The Confederation of Danish Employers (DA). Grakom is a member of several international organisations, such as Intergraf, FESPA, FTA Europe and Egin.